Showcase your patents in style. This patent portfolio stands out with it's decorative screw cap and red metallic trim. Custom Layout with EPO Patent Seal, Patent Number, Inventor, Title and others. Patent information is digitally imprinted on a Silver HD plate. 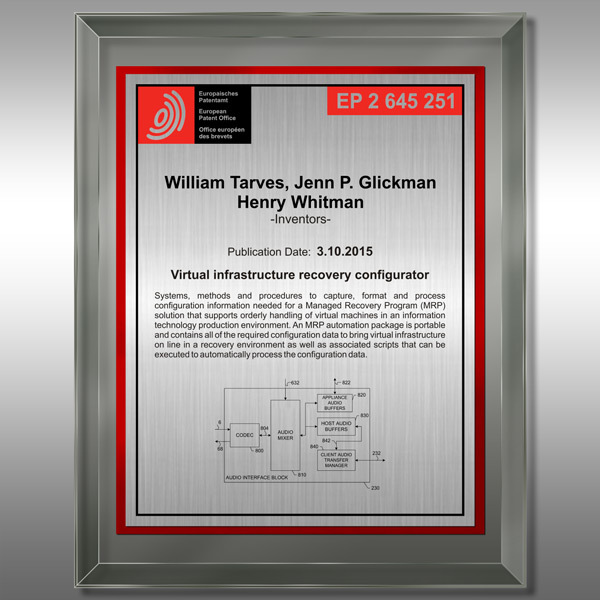 This European patent plaque is red and silver, perfect to showcase and EP Patent. 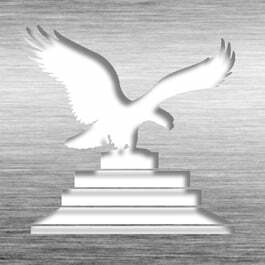 This Patent Plaque - Glass Modern Euro MG-E14 is part of our Modern Series of products, check out other products & options available in the Modern Series of our selection. This Patent Plaque - Glass Modern Euro MG-E14 can be modified to your requirements and is available for your corporate award programs.